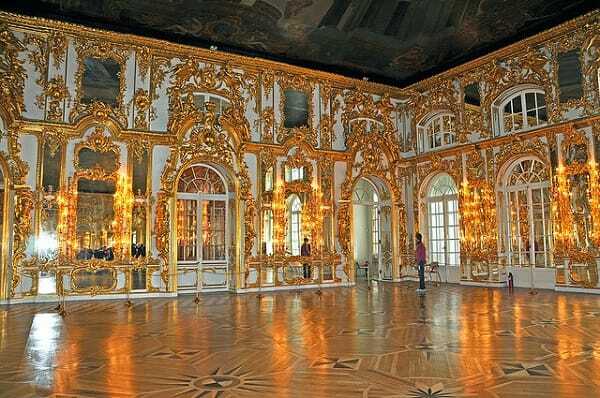 Russia continues amassing its gold hoard, now adding 1.1 million ounces in September. What does this mean for the metal? Find out here. This week, Your News to Know brings you the latest happenings in the world of finance and the gold market. Stories include: Russia adds 1.1 million ounces to gold reserves, gold continues two-week rally, and major online sales outlet stockpiles gold and food. Russia’s central bank continues to increase its gold reserves dramatically, as reported by InvestmentWatch. After an increase of 1 million ounces in August, the most recent reserves report showed an additional 1.1 million ounces (34.21 tons) were added in September, bringing the total gold reserve to 43.5 million ounces. Since 2009, Russia has added a staggering 745 tons to its gold reserves, more than even China’s officially-reported 654 tons in the same period. Despite Russia’s June announcement that predicted a 40% boost to their foreign reserves, from $356 billion to around $500 billion, the country appears to favor physical gold over other assets – the ‘gold binge’ coincides with a steady sell-off of U.S. Treasury Bonds. Gold continues its two-week rally, with a recent peak of $1,191 an ounce. Despite the 6.9% gain over the span of three weeks, Andrew Hecht on SeekingAlpha believes that the most important question is still up in the air: Can gold reach the key technical level of $1,234 an ounce? Hecht outlines three upcoming levels for gold to breach: $1,200, $1,234 and $1,300. Considering $1,200 an ounce to be a psychological barrier more than a technical one, he finds the middle level of $1,234 to be the most important, since going past it would attract speculative buyers. As gold nears these levels, Hecht points out that the rally was a steady one, rather than volatile – historical volatility dropped to 10% from around 18% at the end of September. While gold’s rally has been the most noticeable, other precious metals experienced gains as well – silver went from $14 to $16, platinum from $909 to $1010 and palladium from $650 to $700. Aside from the metals rallying together, it’s also worth noting that the silver-to-gold ratio went from 78:1 to 73:1, moving closer to the long-term average of 55:1. Hecht finds these two points important: “Given that both platinum and silver prices have done well, along with gold, we can surmise that for the first weeks of October, we have seen a momentum shift as divergences have decreased,” he says, adding that the momentum shift is “significant” and worth watching in order to gauge the chances of continued bullish market action. He also believes there is more upside for gold thanks to the action in both silver and platinum, which supports the bullish tone for the yellow metal. While a 2015 interest rates hike by the Fed could somewhat halt gold’s current rally, Hecht reminds that global deflationary pressures and an inflation rate well below the desired 2% have thus far rendered the Fed unwilling to act. In last week’s speech to the United Precious Metals Association, Jonathan Johnson, chairman of major online retailer Overstock.com, revealed the company’s contingency plan in case the U.S. economy falls on hard times. Aside from stockpiling enough food to feed all Overstock employees for three months, Johnson turned to gold bullion as a way to ensure their payments. TheBlaze reports that the retailer’s gold reserve now consists of approximately $10 million in “button-sized” coins. Having thought of everything in the case of an economic disaster, Johnson’s plan also covers the possibility of a “bank holiday”: In his speech, he stressed that the bullion was being stored “outside of the banking system”.